Clare Elsley, former England International Netball Player and Assistant Director of Sport at Badminton School, is more than qualified to know a top sports floor. Clare Elsley, Assistant Director of Sport, Badminton School. A former player for Severn Stars in the 2016/17 season, but now focusing her attention on retaining the Indoor Nets title, Clare has previously played for TeamBath and Mavericks Superleague Franchises as well, winning four titles with both respectively – three with TeamBath and one with Mavericks. She has played at the University of Worcester Arena (a DYNAMIK floor system) and the University of Bath (another DYNAMIK floor system!) so she knows what she’s talking about. As well as teaching at the school, Clare is currently the Captain of the England Indoor Netball Team who won gold at the World Championships in Wellington (NZ) in 2016. With National League and the Indoor Netball World Championships both this season, this will be an exciting time to be associated with the new facility. 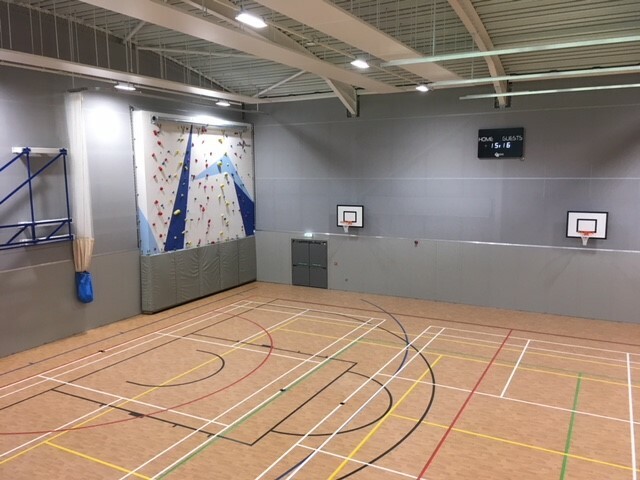 Badminton School is not only top for academic achievement but is set to provide many opportunities for existing and future students with their new sports facility. They chose a DYNAMIK sprung floor system finished in a solid sports vinyl to coincide with this ethos.